Launch referral marketing programs that make sense and build strong advocates. Say no to meaningless virality. With Chargebee’s integration with Friendbuy, you can allow your customers to spread the joy by inviting friends into their subscription service, on the go. Create more brand advocates. 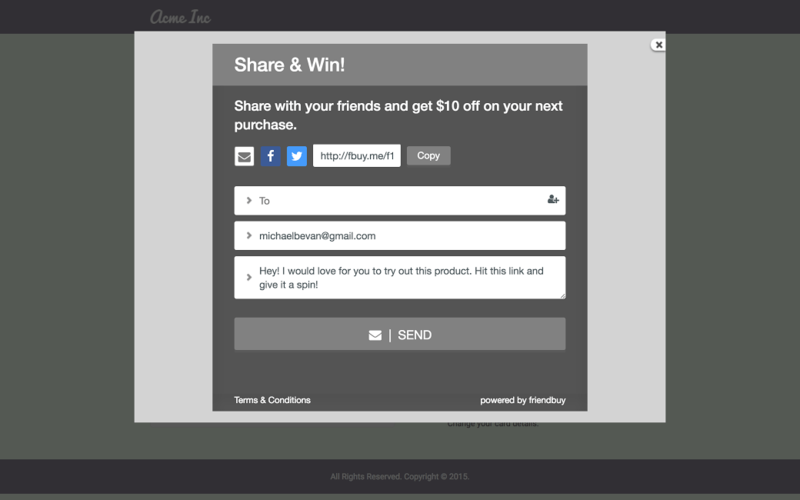 Incentivize your referrers. Win more customers. Empower your customers to refer more people to your business, and boost your sales with Chargebee’s integration with Friendbuy. - Build beautiful and easy referral programs and campaigns and automatically deposit promotional credit directly to their customers’ Chargebee accounts. - Benefit from the complete control over the widget embedded onto your site, with social links for shares that can be replicated on your checkout pages. - Customize the look and functionality aligned with your brand, with personalized URLs, editable widgets, and compatible across all devices. - Friendbuy’s default reward validation callback can ensure that only active subscriptions in Chargebee can be rewarded. Visit Friendbuy to learn more about setting up this integration. What pricing plan does the Friendbuy Integration with Chargebee fall under? How does the data flow between Chargebee and Friendbuy? How are the referrals tracked? 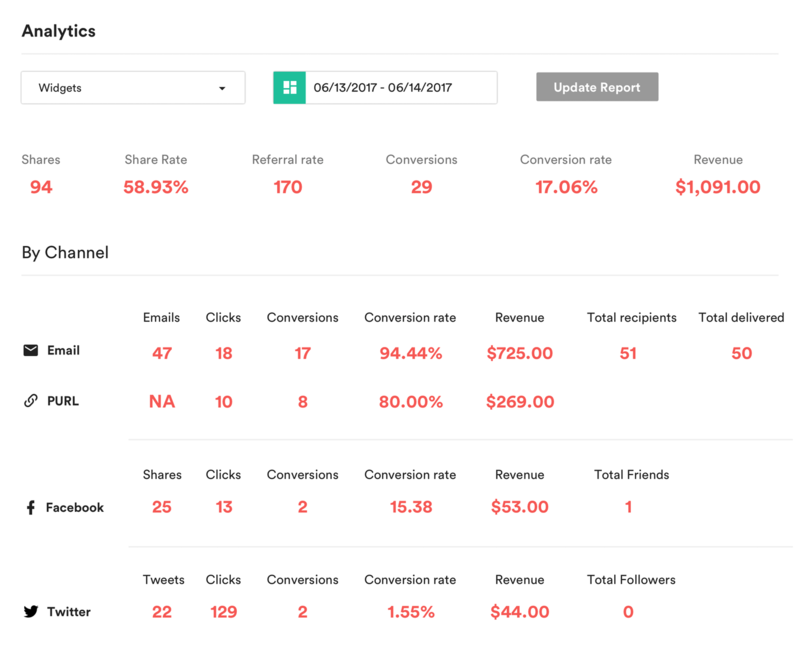 Is there a dashboard where we can view the reports of the referral campaign? How are the purchases notified to Friendbuy? I do not want to install a Friendbuy widget in my Thank You page specifically. Is there an alternative way to install the widget anywhere else on my website? Should I sign up for a paid account with Friendbuy to test the integration? The Chargebee+Friendbuy referral integration is available from Pro Plan at $199 onwards. 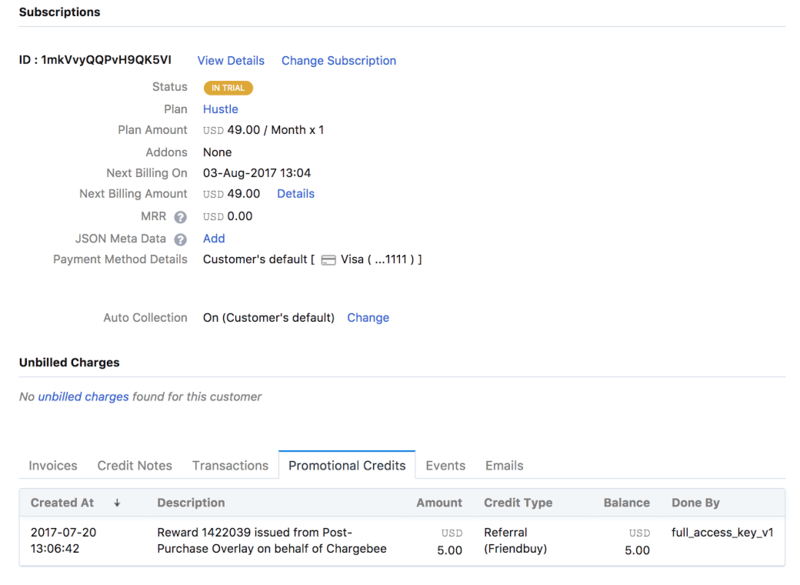 Chargebee notifies all the purchases made by end customers to Friendbuy, along with the customer name, email and purchase amount. Friendbuy detects the referral conversion automatically. Friendbuy applies the configured reward as promotional credits to the referrer’s account in Chargebee. 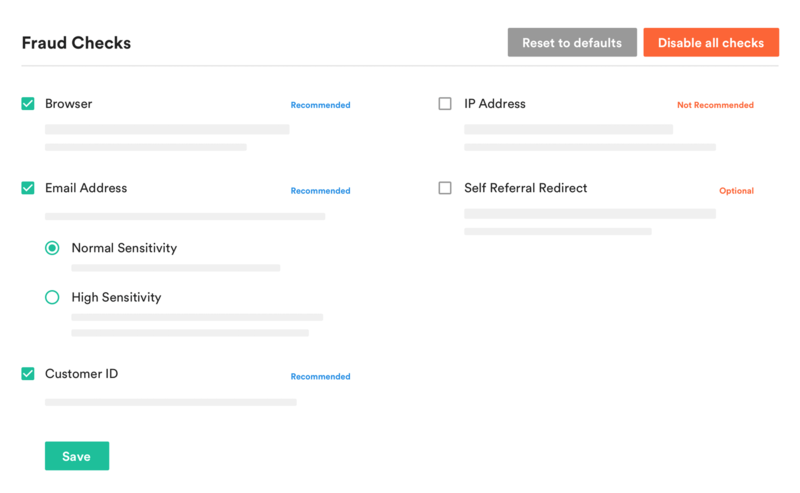 You can track the referrals, shares, clicks and conversions in Friendbuy’s dashboard. Under each widget in Friendbuy, you can find the installation code that you can install in any other page of your choice on your website using Friendbuy’s SmartPixel. Friendbuy allows a no-obligation 30-days trial period. In case you would like to extend your trial period for testing some more, please write us a note at support@chargebee.com.